Working the Arrowhead Models the RGM&HS has a exclusive opportunity to offer through the society for members to purchase Arrowhead Models “Committee Design” hopper car at a discounted price. these first class HO Scale model by Rio Grande paint scheme is available in 24 road numbers! RGM&HS Members Pricing: $47 for 1 to 2 cars; $45.50 for 3 to 5 cars and $42 for 6+ cars. 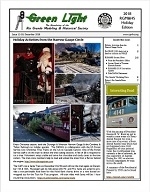 We will have the RGM&HS exhibit booth at the Intermountain Train Expo this weekend. We will have the back issues of the Prospector, Rio Grande hats, shirts, and DVDs for sale at the booth. The expo will be held at the Mountain America Exposition Center in Sandy Utah.